Alaska Airlines signaled they were serious about expansion when they purchased Virgin America back in December 2016. For the time being, Virgin America is sticking around. While not as flashy, Alaska has continued to show it’s commitment to dominance on the West Coast with subsequent announcements of new routes from Portland, the Bay Area, Los Angeles and San Diego. San Francisco (SFO) to Orange County*, Minneapolis*, Orlando^, Philadelphia^, New Orleans^, Nashville^, Indianapolis^, Raleigh-Durham^, Baltimore^, Kona^, Albuquerque*, Kansas City* and future flights to Mexico City. San Diego to Omaha*, Austin*, Albuquerque*, Minneapolis*, Kansas City*, St. Louis* and future flights to Mexico City. 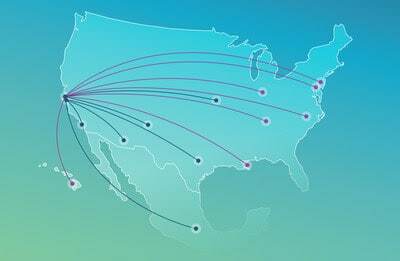 Los Angeles (LAX) to San Jose* (CA) as well as future flights to Mexico City. By my count that is 29 new routes from West Coast airports announced in just the past 3 months since the purchase of Virgin America.